Paramount Pictures’ updated take on Teenage Mutant Ninja Turtles is one of the worst new movies of 2014. There is no way to sugarcoat it. Simply put, it is one more example of why Hollywood’s (and audiences’) seemingly insatiable appetite for prequels, sequels, and remakes can only mean a bleak future for the industry’s “Power Five” studios. The central reason for the failure of Teenage Mutant Ninja Turtles is its writing. While the movie’s writers and the studio did back down on the original idea for the Turtles’ origin story, the story incorporated into the story proves to be just as bad. There is also the issue of the plot. While it can be said that the movie’s plot is not necessarily as cheesy as some of the plot lines from the animated series, there is still something about this movie’s plot that makes it unbearable. And dangling the proverbial carrot in front of old school audiences in the form of references to the original animated series (and movie) hurts the movie even more in terms of the movie’s writing. It’s one more example of why having multiple people working on a single script serves only to hurt said script. This has been proven time and again in a number of works before this one. TMNT is just the latest. Just as noteworthy is the acting. Credit should e given where credit is due. The actors behind the turtles are deserving of their due respect. However, the acting on the part of lead Meghan Fox and the movie’s supporting cast falls flat. Even actor Will Arnett comes up short as April’s photog Vernon Fenwick. He had the look. And he did make a valiant effort at his portrayal. But it still came up short in the end. Those issues with the cast’s acting coupled with the issues raised in the movie’s script hurt TMNT in a major way. They still are not all that hurt the movie. Last but hardly least of all that goes against the movie is its collective look and production values. Michael Bay wasn’t at the helm of TMNT. But in watching the movie, one may as well say that he was. That is because the movie’s look and its production values are quite similar to the much maligned Transformers franchise that he previously helmed. It is the final nail in the movie’s coffin, sealing the movie’s fate and proving once more why this movie is one of the worst of 2014. Teenage Mutant Ninja Turtles was and is one of the best movies to leap from the pages of comic books. That is the original live action movie that debuted in 1990. This year’s new update on that modern classic is the polar opposite of that incarnation. It’s painfully obvious from start to finish, too beginning with the movie’s overall writing. The movie’s plot by itself does plenty to hurt the movie. And it all begins with the Turtles’ much mailgned origin story. 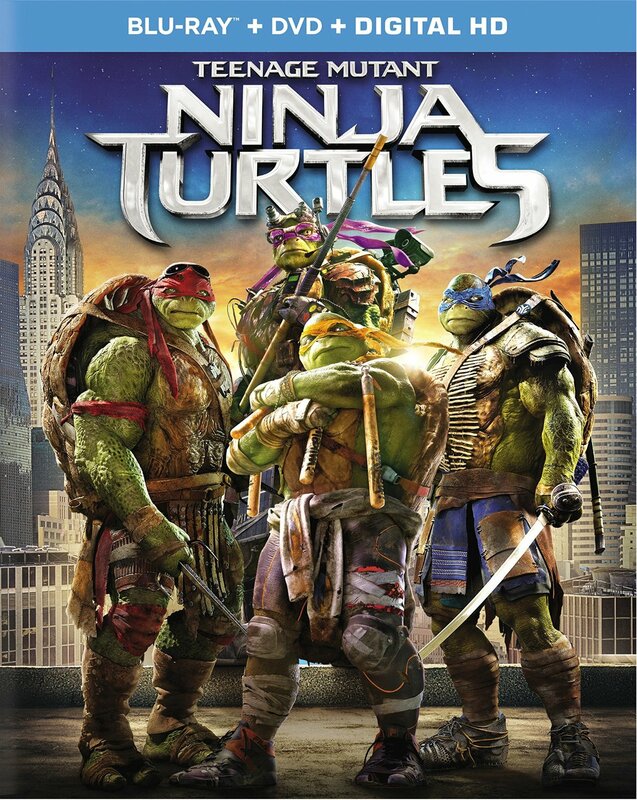 Those that followed this movie from the days even before its pre-production started will recall that the origin story was going to have Leo, Raph, Don, and Mikey come in as aliens from another planet. Thankfully that didn’t happen. However, the origin story that took its place is just as problematic. That story won’t be revealed here for the sake of those that have yet to watch the movie. But it directly involves April O’Neil. And to a point, it takes a page from Sony’s latest incarnation of Spiderman. April’s revelation at her link to the Turtles’ origin story is cheesy enough. But the acting on the part of actress Megan Fox, who plays April, only serves to make that revelation even more unbelievable. The acting on the part of the cast will be discussed in more depth at a later point. For now, the focus will remain on the movie’s writing. The origin story crafted for Teenage Mutant Ninja Turtles is but one part of the writing that hurts this big screen reboot bust. The movie’s very plot plays its own role in the movie’s failure. The movie’s plot sees Shredder and the Foot Clan–which is made more into a pseudo militia group here instead of the old school, evil ninja group from the original movie and animated series–trying to spread a virus through New York City. In turn, they and Eric Sacks (William Fitchner) can use the mutagen that created the Turtles for their own financial gain. Yes, it’s true. In defense of this plot, those that are familiar with the original animated series, there was an episode in which Shreddder sent up a satellite-like device the changed the weather around the world as a means for him and Krang to take over the world. So keeeping that in consideration it isn’t too cheesy of a plot. There’s still something about it in the script’s writing though, that makes it not entirely believable. Speaking of the comparison between this incarnation of the Teenage Mutant Ninja Turtles and the original animated series (and the franchise’s original movie), that is yet another issue in the writing that hurts this movie. The issues raised through the origin story and plot incorporated into Paramount’s new take on Teenage Mutant Ninja Turtles both make the movie’s writing rather problematic in their own way. One can’t ignore the fact that Applebaum, Nemec and Daugherty did try to please the fans of the franchise’s original animated series and 1990 movie with constant throwback references to both. They even made sure to include the skateboards used in both properties. The issue at hand with making such references is that through the script’s previously noted problems, adding in those references essentially becomes a slap in the face to the fans that grew up with those originals. It’s the same as dangling the carrot in front of a donkey (or rabbit) only to have it pulled away for lack of better wording. Simply put, it is disrespectful to said audiences. The writing behind the script for Paramount’s new incarnation of the Teenage Mutant Ninja Turtles is a big part of what has made this movie one of the worst of this year’s new releases. While the writing proves to be quite problematic, it is only the beginning of the movie’s problems. The work of the movie’s cast is just as problematic. Actress Megan Fox plays April O’Neil in this version of TMNT. Her reaction at discovering her role in the origin of the Turtles is awful. It is so over the top and hammy that one can only shake one’s hand. While Will Arnett deserves at least some credit for trying to properly portray Vernon Fenwick, even he comes up short. He is hit and miss at best. To the cast’s credit, the men behind the mean green machine–Johnny Knoxville (Bad Grampa, Men in Black 2, Jackass), Pete Ploszek (Parks & Rec, Shameless), Jeremy Howard (Men in Black 2, Galaxy Quest, How The Grinch Stole Christmas), Noel Fisher (Final Destination 2, Red, Battle Los Angeles), and Alan Ritchson (Fired Up, Blue Mountain State, The Hunger Games: Catching Fire) are to be commended for their work. They did quite the job of establishing the attitude and comic element for which the Turtles have been known for decades in their protrayals. Sadly the same can’t be said for the duo of Tony Shahoub (Monk, Wings, Men in Black 1 – 3) and Danny Woodburn (Mirror Mirror, Employee of the Month, Death to Smoochy). The duo partnered to bring Splinter to life. Whether it is their own work (or lack thereof) or because of how Splinter was written into the story, their portrayals did little to make Splinter really stand out at any one point in the story. So simply put, the only positives that can be pointed out in terms of the acting in Teenage Mutant Ninja Turtles is the acting of the men that brought Leo, Don, Raph and Mikey to life. other than that, not much positive can be said of the rest of the cast’s work. It’s yet another example of why Teenage Mutant Ninja Turtles comes up far short of its potential and proves in the end to be one of this year’s worst new releases. Teenage Mutant Ninja Turtles comes up short in so many ways. its writing is the biggest offender when examining why the movie falls short. The acting on the part of the movie’s cast is another issue. Last but hardly least of note that damaged TMNT is the collective look and production values incorporated into the movie. Michael Bay did not helm this reboot of the classic franchise. But even as a producer, his influence is blatantly obvious throughout the movie. The fast-paced shots, the giant explosions, and of course Shredder’s Transformers-esque look show just how much influence he obviously had in this movie. The only positive to it all is April’s look. The use of a yellow jacket in place of a cheesy full body jumpsuit is the only fully acceptable update to the whole thing. Other than that one positive, one might as well just say that this was another Michael Bay film despite the fact that he was only a producer instead of director. And that considered along with all of the movie’s other negatives is the final nail in the movie’s coffin. One can only hope that whenever the already-in-the-works sequel debuts, it will make up for everything that this movie got wrong. Regardless, this reboot will remain among the worst new major motion pictures of 2014.